“ONE FREQUENTLY MEETS CLAIMS that there was contact between the far western coasts of present Spain and Portugal, and Crete of Minoan times”, Dan Stanislawski notes in his Study in Historical-Political Geography: The Individuality of Portugal, and particularly in the 7th Chapter about Contacts Βetween the Ancient Civilizations of the Eastern Mediterranean and Iberia. This is a “neat” example of the established historians’ ‘classic’ mentality: Reserved when they write or talk about Minoans, even Hellenes, but garrulous when they lecture about Phoenicians. 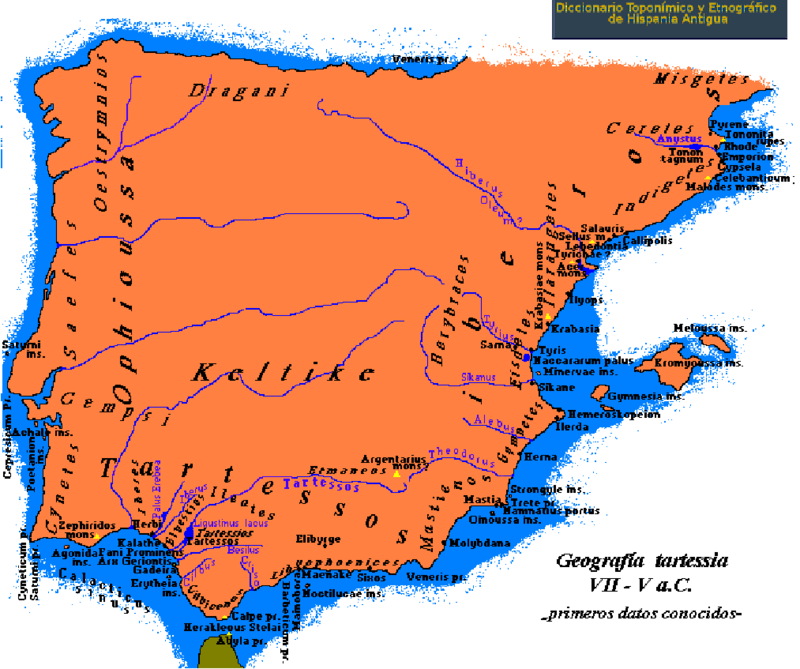 Indeed, why was it so difficult for the Aegean peoples to reach Iberia? They were surely not inferior to the Phoenicians in seamanship and, furthermore, Crete was far closer to Iberia compared to Phoenicia. In addition, who controlled Mediterranean trade at the time? The Phoenicians or the Mycenaeans? Why should the Egyptian trade items of this period found in Spain “almost surely be associated with Phoenician intermediaries”? The crucial question, however, this mentality does not answer is: Where did the Bronze Age Mediterranean find tin to produce bronze? Who were established as sea traders in those years to transport this precious metal to the Mediterranean? Alas, not the Phoenicians! It is the reason why the evidence of their presence in Iberia is anything but “convincing”… On the other hand, there are detailed descriptions of Minoans extracting metals from the area of Lake Superior and carrying them through the Mississippi River to the Gulf of Mexico to be transported to the Mediterranean! One cannot exclude this, but we do not intend to take you that far. It is better to remain on Iberian soil. Where did the Bronze Age Mediterranean find tin to produce bronze? Who were established as sea traders in those years to transport this precious metal to the Mediterranean? Some ‘non-established’ historians link the distinctive culture of Los Millares in Almería with “The Early Minoan Colonization of Spain” (W. Sheppard Baird). Far more interesting is the following El Argar culture, which also flourished in Almería, in modern eastern Andalusia, between 1800 and 1300 BCE. The Argaric culture was characterized by the early adoption of bronze, which allowed local dominance over ‘copper age’ (chalcolithic) neighbours. Their mining and metallurgy were quite advanced, with bronze, silver and gold being mined and worked for weapons and jewelry. They developed sophisticated ceramic techniques, as well, and traded with other tribes. The collective burial tradition, typical of European Megalithic Culture, was abandoned in favour of individual burials (and the tholos or ‘beehive’ tombs in favour of small cists). This trend seems to have come from the eastern Mediterranean, most likely from Mycenaeans (skipping Sicily and Italy, where the collective burial tradition remained for some time yet). In the next phase of this culture, beginning ca 1500 BCE, burial in pithoi (large jars) became most frequent. Again this custom (that never reached beyond the Argarians’ circle) must have come from Hellas, where it was used after circa 2000 BCE. Cultural exchanges during the Mycenaean era are very clear in the Mediterranean, with the Argarians adopting Greek funerary customs, while the Hellenes also imported the Iberian tholos for the same purpose. Note that whoever reached Iberia could easily find the way to the tin ores of Brittany and Cornwall through the Western Iberian Bronze cultures that had some degree of interaction, not just among them, but also with other Atlantic cultures in Britain, France, etc. It is the so-called Atlantic Bronze Age complex of ca 1300–700 BC that consisted of different civilizations in Portugal, Andalusia, Galicia, Armorica (the part of Gaul that included Brittany), and the British Isles. The Atlantic Bronze Age was marked by economic and cultural exchange, which led to a high degree of cultural affinity manifested in the coastal communities from Galicia to Scotland, while commercial contacts extended from Scandinavia to the Mediterranean. Next important culture was that of Tartessos, a harbour city and the surrounding region in the southern Iberian coast (southern Andalusia). It was the first organized state of the peninsula, developed culturally and politically by the end of the 2nd millennium BCE. The area is referred to in the Greek mythology of the era as a reminder of the Mycenaean presence and campaigns in Iberia. Heracles went to perform two labours there: to kill Geryon and obtain his cattle; and to steal the golden apples of the Hesperides. (a) Geryon dwelt on Erytheia or Erytheis, an island of the Hesperides in the ‘far west’ of the ancient world: Hesperia was the West and more precisely Iberia; Erytheia was called one of the Hesperides, but also the fearsome giant’s daughter. “Geryon was killed by the great strength of Heracles at sea-circled Erytheis”, Hesiod says in his Theogony. Heracles set up two massive spires of stone to stabilize the area and ensure the safety of ships sailing through the Straits, called the Pillars of Heracles. He also founded Gadeira on Geryon’s island, where the Phoenicians would build later the colony of Gadir (modern Cádiz): a tumulus near Gadeira was associated with Geryon’s final resting-place. There are also legends about Heracles being buried in Spain. A later generation of Hellenes linked the area to Tartessos. The Fortunate Isles, also called the Isles of the Blessed, or Elysium, were thought to be somewhere outside the Pillars of Heracles, as well. 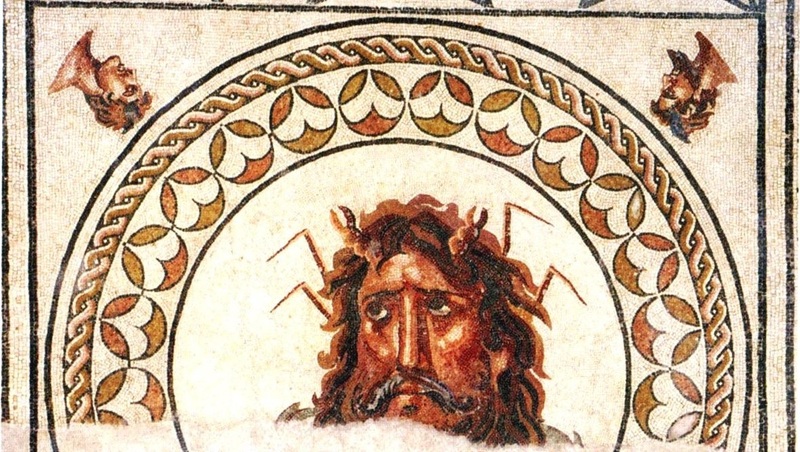 (b) As regards Geryon, he is mentioned among the mythical kings of Tartessos. His grandson Norax (or Norace) conquered the south of Sardinia, founding the city of Nora, and becoming a hero of the Nuragic mythology. (c) He dictated the first laws, divided the society into seven classes, and forced the nobles to work. Later Gárgoris introduced commerce, beekeeping and new agricultural tools such as the plow. This last innovation is also credited to his (grand)son, Habis (Habido, Abidis, or Abidas), who succeeded him in the kingdom of Tartessos. Some peoples name the orange after Portugal, the former main source of imports: Greek portokali (πορτοκάλι), Bulgarian and Slav-Macedonian portokal, Romanian portocală and Georgian phortokhali. Also in South Italian dialects, orange is portogallo or purtualle. Related names are found in non-European languages, as well: Turkish portakal, Arabic al-burtuqal, Persian porteghal, and Amharic (the Ethiopian language) birtukan. Portugal’s name derives from the Roman Portus Cale that evolved into Portugale during the 7th and 8th centuries. Cale was an early settlement located at the mouth of the Douro River in the north of what is now Portugal. The etymology of the name Cale is mysterious, as is the identity of the town’s founders. Some historians have argued that Hellenes were the first to settle Cale and the name derives from the Hellenic word kallos (‘κάλλος’), ‘beauty’, referring to the beauty of the Douro valley. However, the mainstream explanation is that it is an ethnonym derived from the Callaeci or Gallaeci that lived in the area. The same applies to the names Galicia and Gaia, the twin city of Porto, at the Douro mouth. 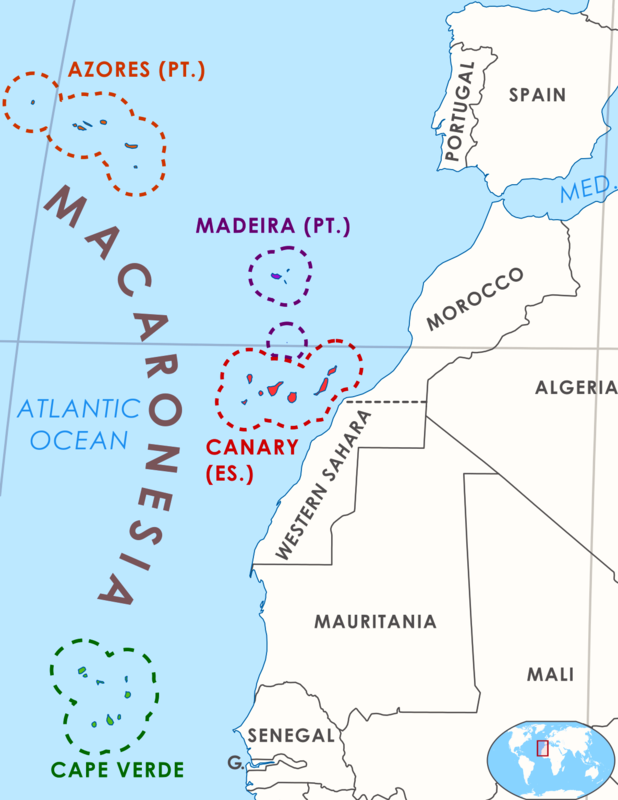 Modern geography names these islands as Macaronesia (from their Greek name Makárôn nêsoi (‘Μακάρων νῆσοι’). They are the Azores and Madeira (Portugal), the Canaries (Spain) and Cape Verde. (c) The close relations between Iberia and Sardinia implied by mythology are confirmed by archaeological, architectural, linguistic, cultural and historical evidence. On the other hand, the Sardinians had contacts with the Mycenaeans, who traded throughout the western Mediterranean, and the Cretans, e.g. with Kydonia, modern Chania, as shown from pottery recovered in excavations in Sardinia. The influences, though, seem to have been even wider. The stepped pyramid of Monte d’Accoddi, near Sassari, is somehow similar to the monumental complex of Los Millares in Andalusia and some later edifices in the Balearic Islands. Some scholars see similarities even with Mesopotamian structures and attribute them to migrations, particularly of Sumerians, to the West. Ancient Greek historians and geographers described the mysterious megalithic nuraghe as daedaleia, implying there was a connection with Daedalus, who, after working in Crete and building the labyrinth there, settled in Sicily and then in Sardinia. During the Chalcolithic period, in the dawn of the Nuragic civilization in the 18th century BCE, copper was used to make weapons and other items. Soon the island, rich in mines, notably copper and lead, saw the construction of numerous furnaces for the production of alloys traded across the Mediterranean, most probably by Minoans and, later on, by Mycenaeans. The Nuragic people became skilled metal workers and were among the main metal producers in Europe. Passing to the Bronze Age, they started using this new alloy to make a wide variety of products, such as weapons, tools, even votive offerings, e.g. bronze vessels that show their close relationship with the sea. Sardinia was not on the map of tin sources and trade in ancient times (Cornwall-Devon, Brittany, Iberia, Bohemia–Saxony). However, because of its other mineral wealth, it served as a centre for metals trade at that time and likely actively imported tin from Iberia for export to the rest of the Mediterranean. Therefore, traders from the Aegean, as well as other areas where tin was scarce, very often travelled there. This fact can explain the cultural influences on the Nuragic civilization from Mycenae, Crete and Cyprus, as well as the presence of late Bronze Age Mycenaean, Cretan and Cypriot ceramics, and also locally made replicas, in half a dozen findspots that seem to have functioned as “gateway” communities. Sardinian and Corsican tribes: the Corsi, perhaps from Liguria, moved to Corsica from N. Sardinia; the Balearic Balares, from Iberia or S. France, may be related with the Basques; the Iolei may originate in N. Africa, Sicily or E. Mediterranean. The Gallurese, Logudorese and Campidanese dialects correspond probably to these tribes. 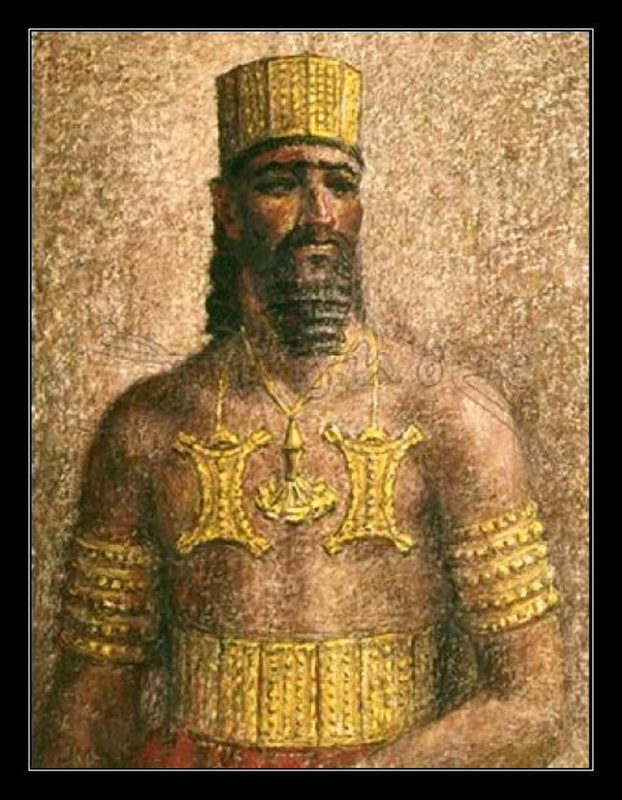 The late Bronze Age (15th–13th centuries BCE) saw vast population migrations, such as that of the Sea Peoples who destroyed the Mycenaean and the Hittite worlds and also attacked Egypt (see the previous Chronicle 5). Some scholars say that the Sherden, one of the most important tribes of the Sea Peoples, are to be identified with the Nuragic Sardinians, who settled on the island either before or after the failed invasion of Egypt. These theories remain controversial for most archaeologists and historians. Simonides of Ceos, however, in a lost work reported by Zenobius, spoke of raids by Sardinians against Crete during the Sea Peoples’ invasion of Egypt. This would at least confirm that Nuragic Sardinians frequented the eastern Mediterranean at that time. Further proof comes from 13th century Nuragic ceramics found at Tiryns and in the Sicilian Agrigento area, along the sea route linking the western to the eastern part of mare nostrum. The second largest island in the Mediterranean after Sicily was called Ichnousa by the Greeks. It was probably named Sardinia after Sardus, a mythical hero of the Nuragic pantheon, who colonized the island from Libya. He is also associated with the Heracleidae that settled there led by Iolaus, a nephew of Heracles, according to Diodorus Siculus. Iolaus may have given rise to the tribe of Iolei, Iolaensi or Iliensi, who were repeatedly checked by the Carthaginians and the Romans, but they were never subdued. He also founded many cities from the Black Sea area to Sicily and Sardinia, requesting the assistance of Daedalus. Some of the latter’s edifices were still standing in Diodorus’ time (1st century BCE). The Phoenicians finally appeared in the area for the first time around 1000 BCE and began visiting Sardinia with increasing frequency. The most common ports of call where they dropped anchor were Caralis, Nora, Bithia, Sulcis, Tharros, and Olbia. From the 8th century they started founding (or appropriating) strongholds and cities primarily on the strategic southwest coasts of the island. Sardinia, along with neighbouring Corsica, is a special case in terms of music, as well, cultivating one of the oldest forms of vocal polyphony – perhaps as ancient as the polyphony of Epirus and Albania. Unesco classed this kind of song, called cantu a tenore, as intangible world heritage in 2005. A similar style, cantu a cuncordu, corresponds to the Corsican paghjella and is liturgic in nature. The polyphonic tradition extends to the instruments of music. 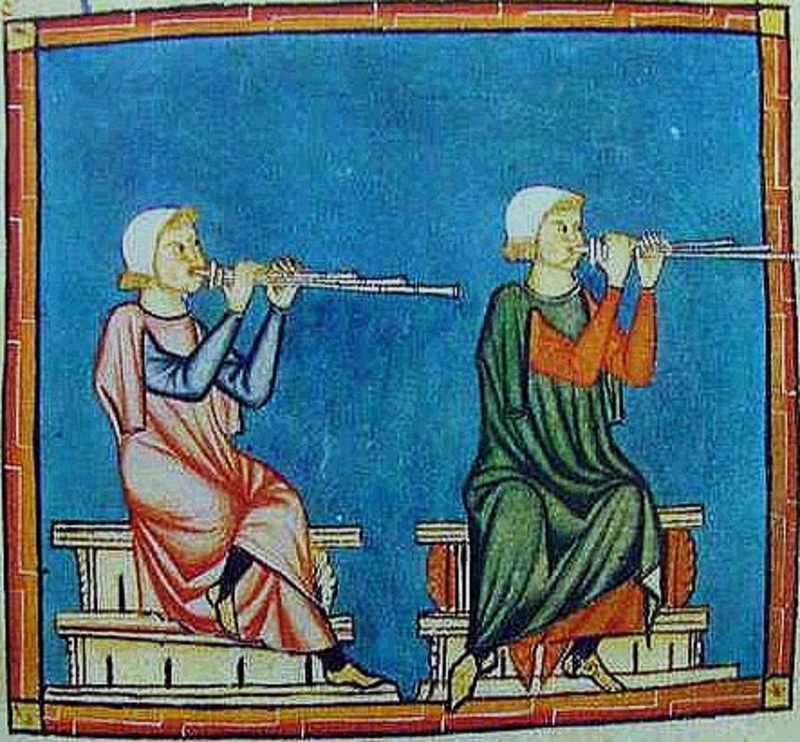 A typical polyphonic woodwind instrument made of three pipes is the launeddas (also called ‘triple clarinet’ or ‘triplepipe’). The pipes are played with circular breathing and the sound may be continuous. One of the pipes functions as a drone and the other two play the melody in thirds and sixths. 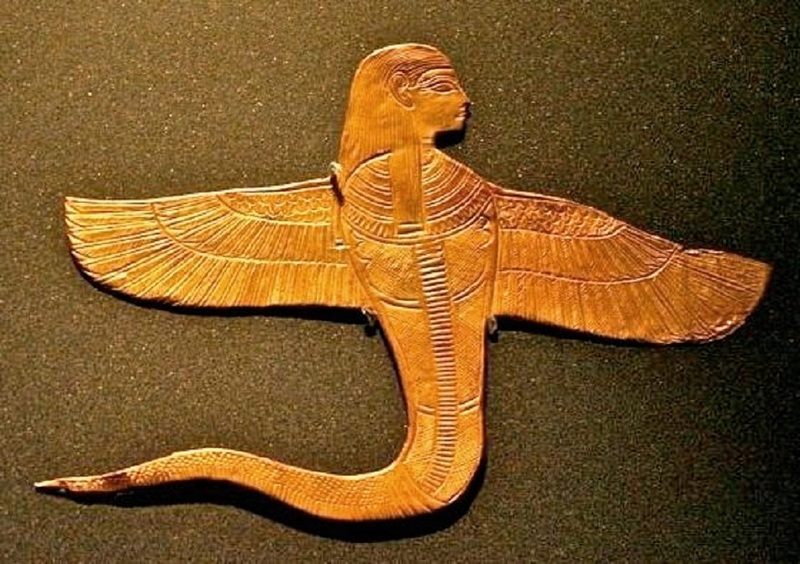 Predecessors of the launeddas can be traced back to approximately 2700 BCE in Egypt, where reed pipes, depicted on tomb reliefs and pyramids, were originally called memet. The launeddas date back to at least the 8th century BCE and are still played in religious ceremonies and dances (su ballu). The musicians use extensive variations on a few melodic phrases, and a single tune can last over an hour, producing some of the “most elemental and resonant (sounds) in European music”, as Alessio Surian observed. The founding of Santarém is thought to be correlated to that of Ulissea > Ulissipo > Olissipo > Olissipona > Lissibona > Lisboa. Once more, the stories about Hellenes are ‘legends’, those on Phoenicians ‘history’. Possibly true, there were no Greek settlements west of the Pillars of Heracles, only voyages of discovery. 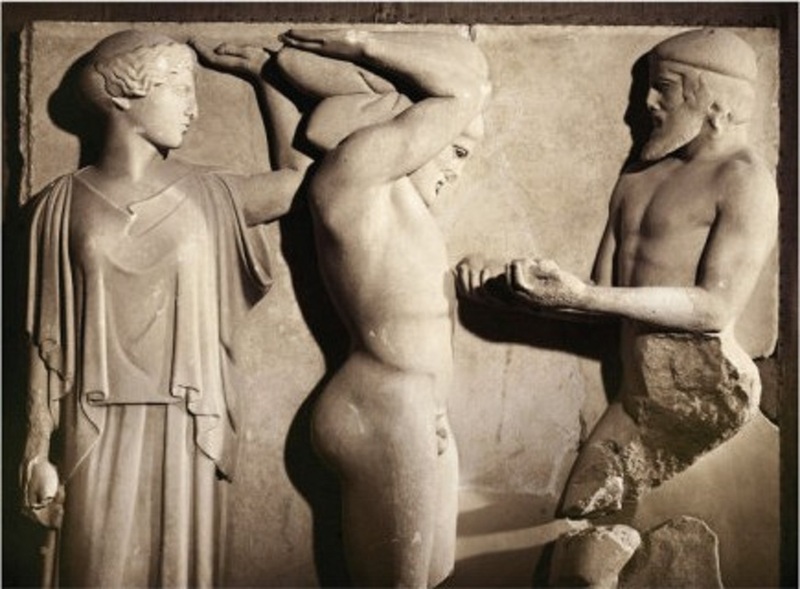 The myth of an ancient Hellenic foundation of Olisipo by Odysseus is not true. On the other hand, there is no evidence either to support the myth of a Phoenician foundation of Lisbon “around 600” or as far back as 1200 BCE under the name of Alis Ubbo (“Safe Harbour”), even if there were some organized settlements in Olissipona with clear Mediterranean influences either at that distant time or later. Likewise, contrary to myth, except the voyages of discovery, there is no record of Phoenician colonies beyond the Algarve, namely Balsa and Tavira, close to the Portuguese-Spanish border, with substantial Phoenician settlement and influence since the 8th century BCE. Essentially, Phoenician influence in modern Portugal was through cultural and commercial exchange with Tartessos. 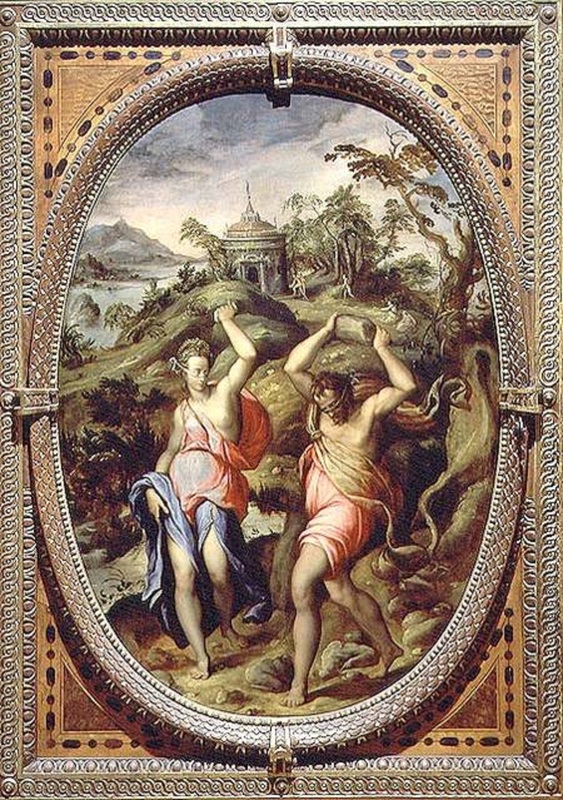 As regards Calypso, according to the Greek mythology, she was not a princess but a nymph on the island of Ogygia, daughter of Atlas, hence she was also called Atlantis (Homer); or an Oceanid, that is, a daughter of Oceanus (Hesiod). (d) However, both versions are linked with either the Pillars of Heracles area or the Atlantic Ocean. Atlas, the Titan who held up the celestial sphere, was identified with the Atlas Mountains in northwest Africa. Scholars who have examined Homer’s work and geography, among them Strabo and Plutarch, have suggested that Ogygia and/or Scheria, the Phaeacians’ island, were located in the Atlantic, and some have identified either or both with Atlantis. 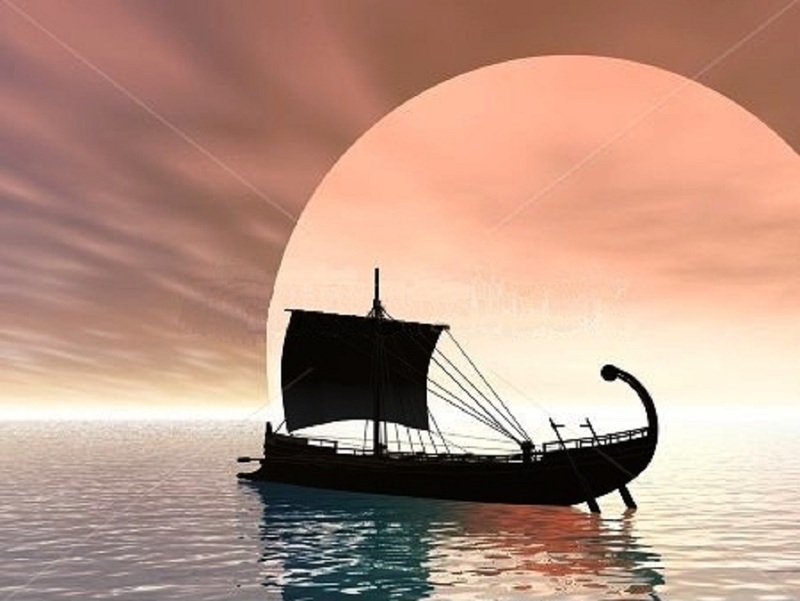 Plutarch again writes specifically that “an isle Ogygian lies far out at sea, distant five days’ sail from Britain, going westwards”, and also mentions “the great continent”, which was interpreted as a reference to either America or an allusion to Plato’s Atlantis. Many traits of the Phaeacians, including their seamanship, are suggestive of either Minoan Crete or Atlantis. The description of their palace is that of a very advanced civilization. Above all, their ships were superb, quite different from the galleys of the Trojan War, and… steered by thought! (e) Hence the view that it was Homer before Plato who first spoke of Atlantis. The Hellenic mythology mentions three deluges: those of Ogyges, Deucalion, and Dardanus. Computerized ships: the best a Periplus can have! Of course, with this technology in mind among other things, the idea that Scheria-Phaeacia could be Corfu must be ruled out. (f) The word Arganthonios is apparently based on the Indo-European word for silver and hence money. Tartessos was very rich in silver. Similar names appear in inscriptions of the Roman period and on silver coinage in Gaul. Arganthonios, the ‘Silver Man’ (ca 670–550 BCE), ruled Tartessos for 80 years (ca 630-550) and lived to be 120 years old. The idea of great age and length of reign may result from a succession of kings using the same name or title. Nevertheless, one could retort that he died… quite young, if we take into account that, as the Bible says, “all the days of Methuselah were nine hundred sixty and nine  years”! “They say that Tartessos is a river in the land of the Iberians, running down into the sea by two mouths, and that between these two mouths lies a city of the same name. The river is the largest in Iberia, and tidal, that of a later day called Baetis”, named Guadalquivir (‘Great River’) even later by the Moors. The eastern mouth of the river, the only one existing now, was much wider at that time. The western mouth does not exist anymore, but it is thought that it was located near Huelva. In this area we now find only a number of lakes. At that time, between these two river arms, there was a large lagoon with at least one island in it where the legendary city was probably located. The landscape is completely different now. Some findings lead to the conclusion that there must have been two natural disasters (tsunamis) that caused the islands and the dry areas to sink, one of which happened around 1500 BCE and the other in 200 CE. Therefore, none of them is linked with the demise of Tartessos. Most sites were inexplicably abandoned between the late 6th and early 5th centuries BCE. Strabo described an urbanized society with many flourishing, wealthy cities along the banks of the Tartessos (Guadalquivir) River. The Tartessians were very good in engineering, with a sophisticated system to regulate the river flow. (g) More about the ancient nomoi, that is, the very old tradition of laws in verse meant to be sung so as not to be forgotten by the people, see Chronicle 1. Their culture is divided into two periods: The first is called “geometric” and coincides with the late Bronze Age ranging from 1200 to 750 BCE – exactly corresponding to the Greek geometric art (Parallel Lives? Who knows…). The second is termed “oriental”, influenced by Phoenicians and Hellenes alike, ranging from 750 to 550 BCE, when it was superseded by the classic Iberian culture. A similar shift to the Lusitanian culture occurred in the southern Portuguese territory, mainly in the Algarve and Low Alentejo, with littoral extensions up to the Tagus mouth. Significant elements of the period were the introduction of the potter’s wheel, and other major advances in craftsmanship, e.g. architecture, and also in agriculture. Another noticeable element was the increase in specialization and stratification. A very important development was writing. With the arrival of the Hellenes, whose influence extended far beyond their colonies, this ‘orientalism’ began to transform itself into the Iberian culture, especially in the South East. The Greek influence is visible in the gradual change of the style of the monuments approaching more and more the architectural models of the Hellenic world. The Iberian script evolved from the Tartessian with noticeable Greek influences. A variant of the Hellenic alphabet (Ibero-Ionian script) was used in a few cases to write Iberian, as well. Culture (from Cicero’s “cultura animi”) is also material, denoting the artifacts a society creates and their connection to social relations. Civilization is certainly inconceivable without division of labour and technology. Culture and civilization necessitate an economic base in order to thrive. In the case of Iberia, it was the metals that opened the way to the dawn of the Bronze Age, sped up later when some Easterners arrived there. Mining and smelting preceded the coming of Minoans, Greeks, or Phoenicians. Alluvial tin was panned in the Tartessian streams from an early date. 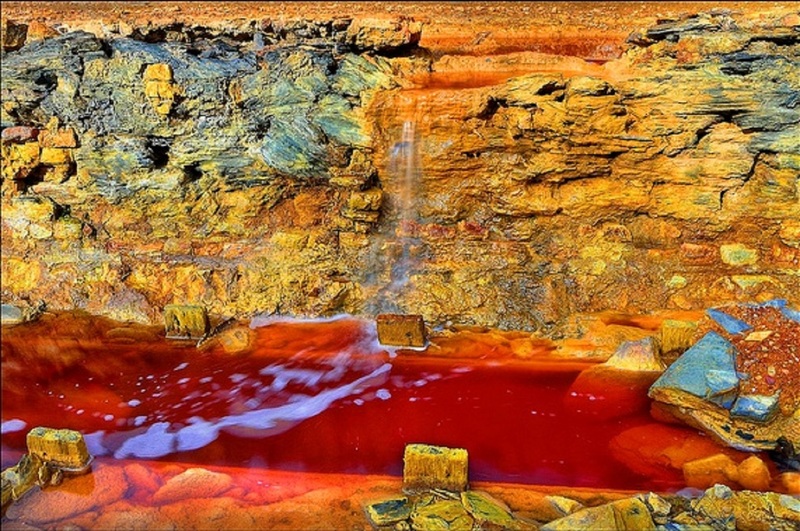 The Río Tinto mines along the river, which flows into the Gulf of Cádiz at Huelva, are estimated at 8,000 to 10,000 years old. They have been mined for copper, silver, gold, and other minerals by Iberians, Tartessians, Phoenicians, Hellenes, Romans, Visigoths, Moors and Spaniards, for such a long time that the place has turned into an environmental disaster zone. (h) The invention of coinage in the 7th century BCE intensified the search for bronze and silver. Hence trade links, formerly largely in elite goods, assumed a broader economic role. By that time, silver extraction in Huelva Province reached industrial proportions. Huelva city was certainly connected to Tartessos; it contains the largest accumulation of imported elite goods and must have been an important centre. Excavations in the heart of the city revealed a great industrial and commercial emporium lasting several centuries. Some 90,000 ceramic fragments, indigenous and imported (Phoenician and Greek), were exhumed. 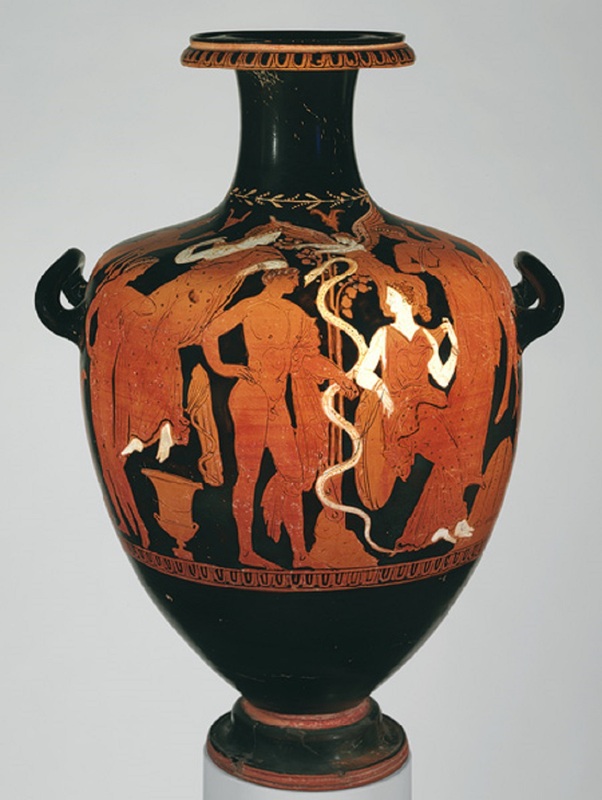 This pottery, dated from the 10th to the 8th centuries BCE, precedes finds from other Phoenician emporia. The existence of foreign produce and materials together with local ones permits us to imagine its old harbour as a major hub for the reception, manufacture and shipping of diverse products of various and distant origin. Finds in other parts of the city help us estimate its habitat in some 20 hectares, which constitutes a sizable extension for a site in Iberia during that period. The analysis of written sources and the products exhumed, including thousands of Hellenic ceramics, some of which are works of excellent quality by known potters and painters, tends to identify this habitat with the lost city of Tartessos. Río Tinto: beautiful colours but… poisonous! (h) The Tinto area, after its exploitation for ten millennia, looks like a “lunar landscape” or even worse: Recently it has gained scientific interest due to the presence of so-called extremophile aerobic bacteria that dwell in the water. 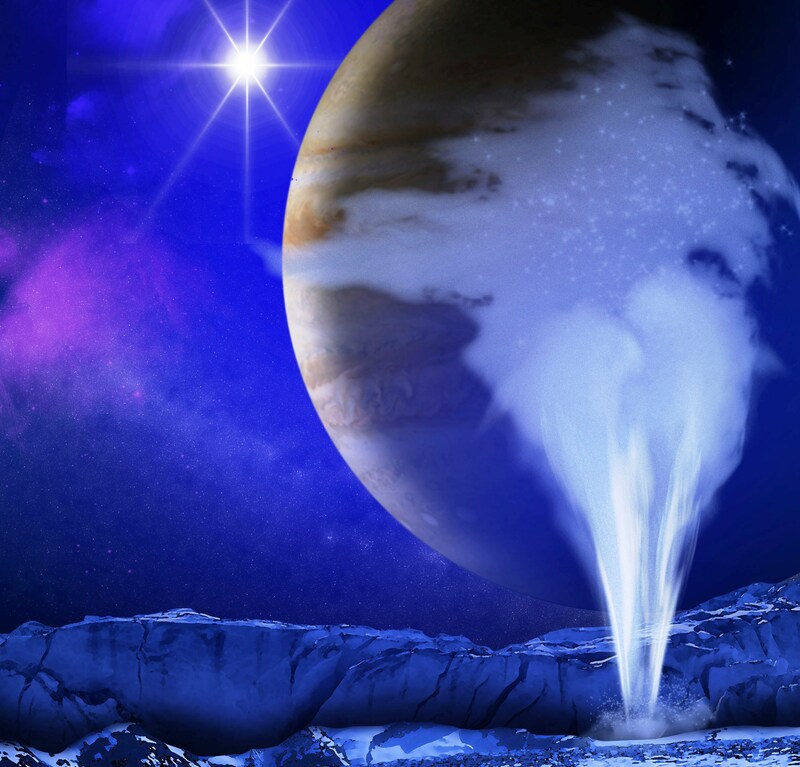 The extreme conditions there may be analogous to other locations in the solar system thought to contain liquid water, such as subterranean Mars, or Jupiter’s moon Europa, where an acidic ocean of water is theorized to exist under its ice surface. Thus the river is of interest to astrobiologists. Based partially on research done near the Río Tinto, two NASA scientists reported in 2005 they had found strong evidence of present life on Mars! They were obliged to retract, but who knows? The Americans may one day employ… Martians as slaves! That is why Europe, eternally in the role of a satellite, is already being transmuted into… Europa, moving inexorably towards the gates of El Dorado vigilantly guarded by Cerberus!